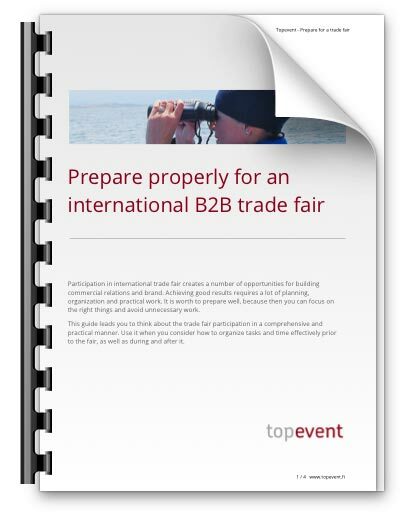 The planning of trade fair participation can begin as soon as the most important target – the target groups – have been decided. Next, select the fairs, in which your target groups are best met, following with creation of a distinctive theme that interests them. 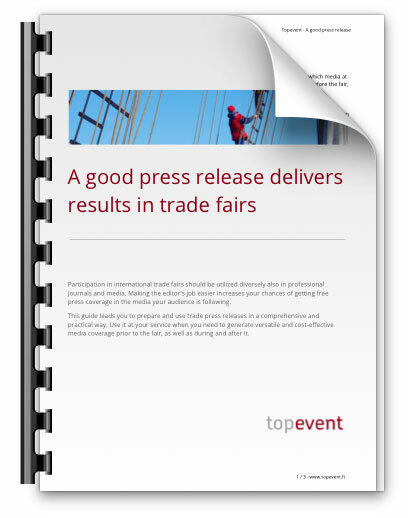 The theme is like a red thread , which is used in communication throughout the trade fair from premarketing to aftercare, internally and externally.